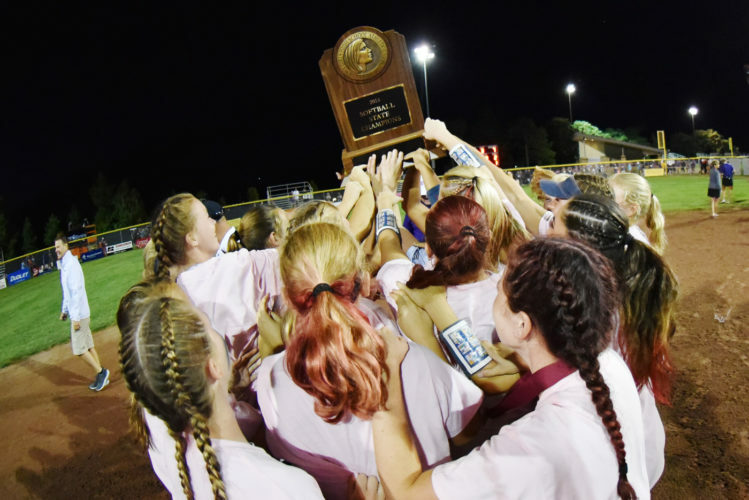 For the second consecutive game at the state tournament, the Indianola softball team’s offense exploded late to give them some breathing room. 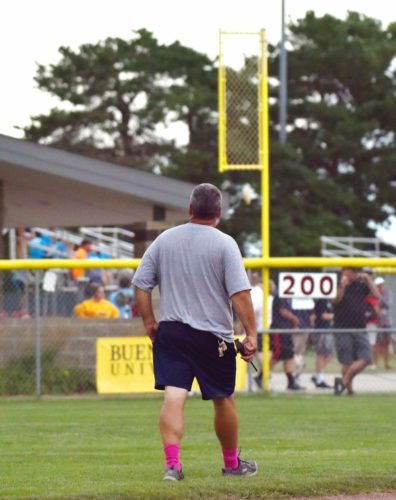 Star pitcher Sydney Sickels didn’t need it. 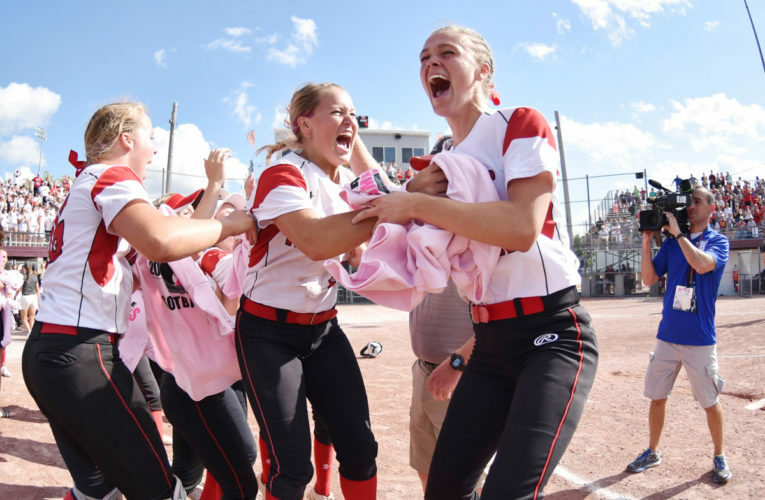 The University of Illinois recruit was spectacular on Wednesday, firing a two-hit shutout with 16 strikeouts as the Indians knocked out Cedar Rapids Jefferson, 6-0, and advanced to the championship game in Class 5A at Rogers Park. Nursing a 1-0 lead in the bottom of the sixth, the Indians (36-3 overall) erupted for five runs to finish off the J-Hawks (35-9). 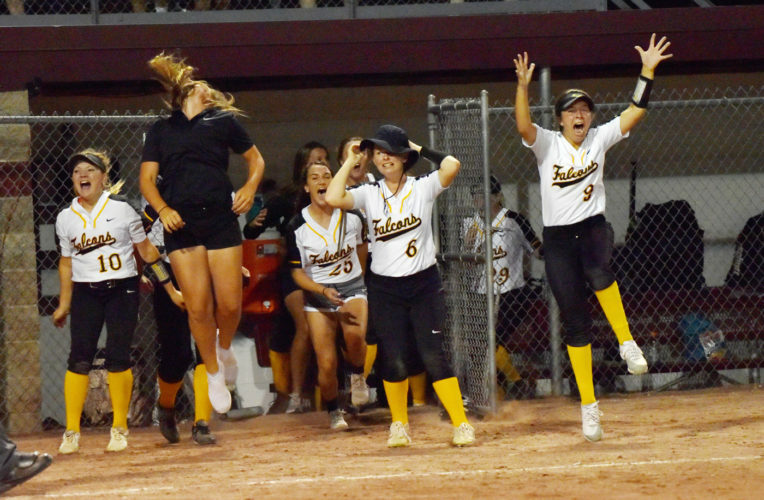 The win followed a similar pattern to the night before, when second-seeded Indianola plated four — again in the bottom of the sixth — to pull away from Dubuque Hempstead. Not that Jefferson had much of a chance against Sickels (26-1), who allowed only two singles to standout Lindsey Culver and nothing else. The rest of the J-Hawk lineup went a combined 0-for-20 with 16 Ks. With the bases loaded and no one out in the sixth, Emma Yenger hit a sacrifice fly to push the lead to 2-0. Sickels — Yenger’s cousin — then cleared the bases with a two-out, three-run double to make it 5-1. 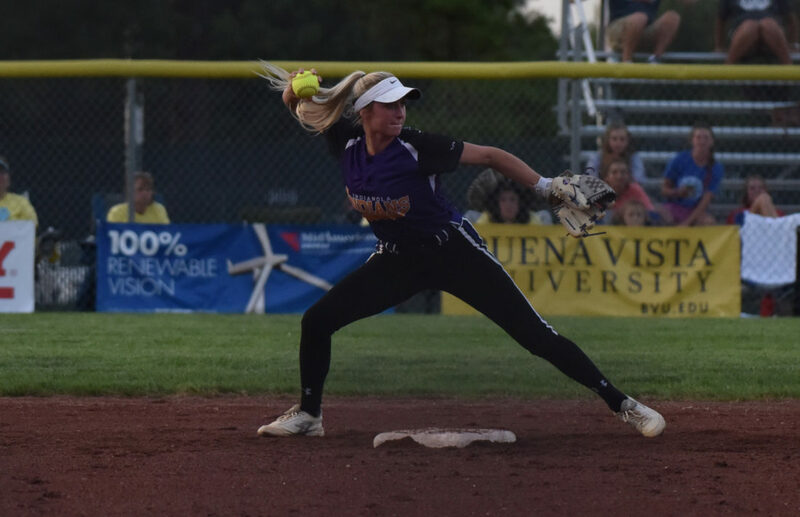 Taylor Bowlin tacked on the final run with an RBI double against University of Northern Iowa recruit Erica Oler (17-6), who was tagged for six earned runs and nine hits. Destiny Lewis went 2-for-3 with two runs scored, while Yenger was 2-for-2 with a double and the RBI. Bowlin was 2-for-3 with her RBI as well. Indianola now faces top-seeded and defending 5A champ Pleasant Valley (35-7) at 8 p.m. on Friday for the crown. 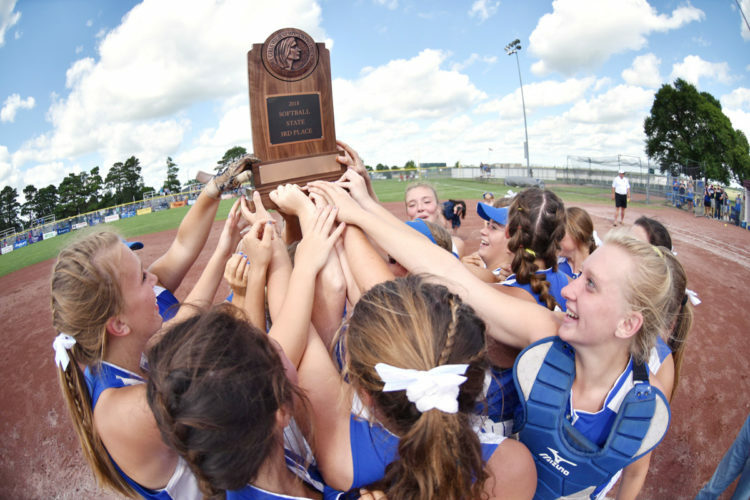 Jefferson takes on West Des Moines Valley at 7 p.m. that night on Diamond 2 in the consolation finals. WP–Sydney Sickels (26-1; 7 IP, 2 H, 0 R, 0 ER, 0 BB, 16 K). LP–Erica Oler (17-6; 6 IP, 9 H, 6 R, 6 ER, 2 BB, 6 K). 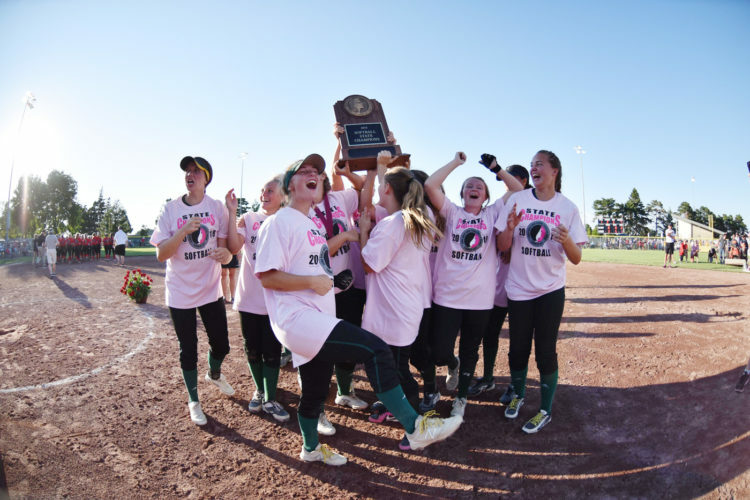 2B–I: Sydney Sickles, Destiny Lewis, Taylor Bowlin, Emma Yenger. SB–I: Destiny Lewis.